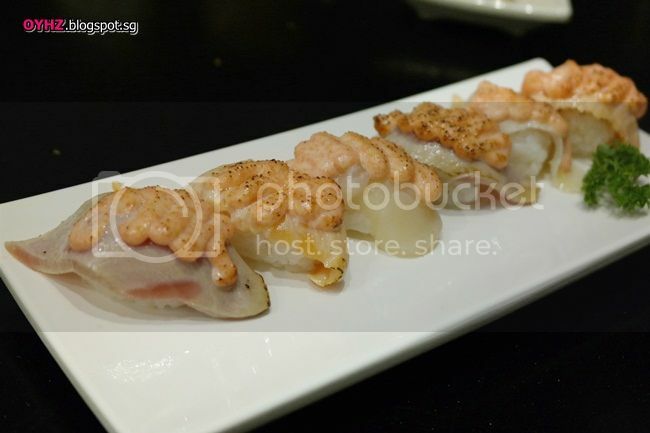 Had the chance to go down for food tasting at Sakae Sushi @ Orchard Gateway! 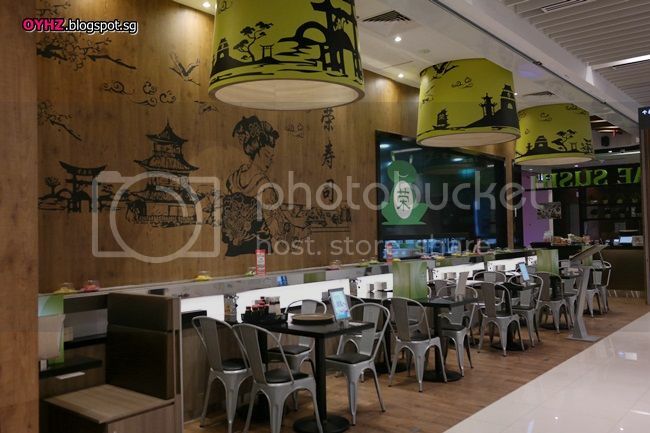 Sakae Sushi has over 120 new selections beginning July 2014. 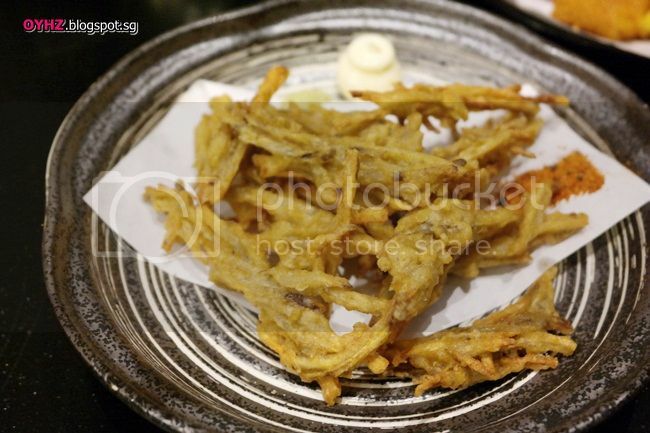 The Japanese restaurant has injected fusin fun into its new menu. Inspired by flavours around the world, one can expect to find unique flavour combinations that marries Japanese classics with local taste, as well as influences from the Peranakan, Korean, French, and Chinese cuisines. We first tried out the new milkshake floats which were huge saviours in the warm weather these days! 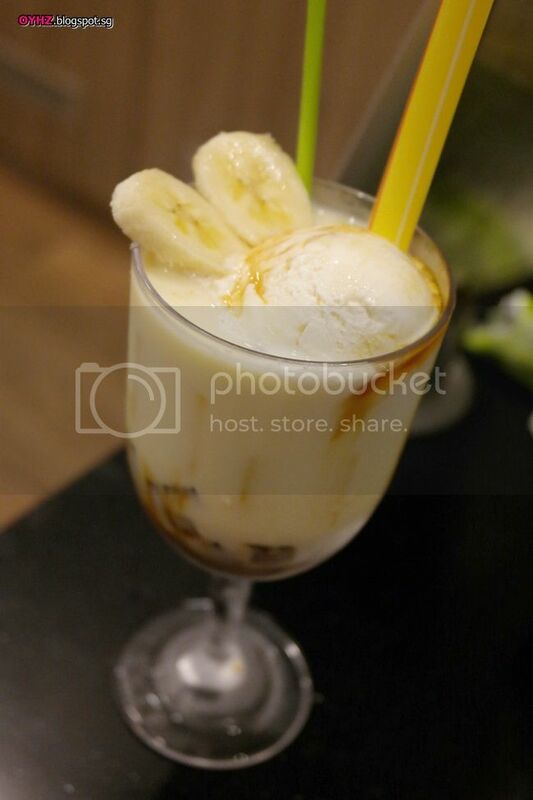 For those with a sweet tooth, this banana caramel milkshake is sure to delight! Coffee jelly helps to balance the sweetness of the drink and complements the flavours pretty well. M's favourite new drink that teases the palate with its combination of watermelon milk and juicy strawberry pulps that burst in the mouth. A trio of cold appetisers to whet your appetite. 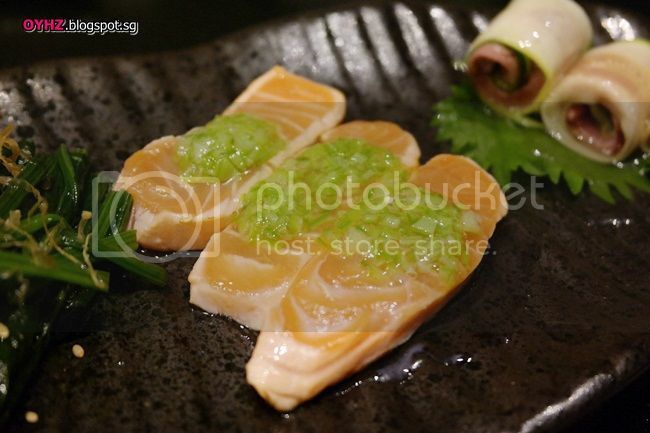 The salmon tataki, slightly seared all around, melts in the mouth. Balancing the dish is the mild saltiness of the smoked duck wrapped in Japanese cucumber and spinach that is lightly tossed in yuzu dressing. The topping on the salmon should be finely chopped lady-finger or similar? Rich in anti-oxidants and long praised for its healing properties, including improving the immune system and heart function, finely cut Burdock Root strips are given a gentle bath in hot oil for the perfect crisp. This dish reminded me of ginseng/herb immediately. 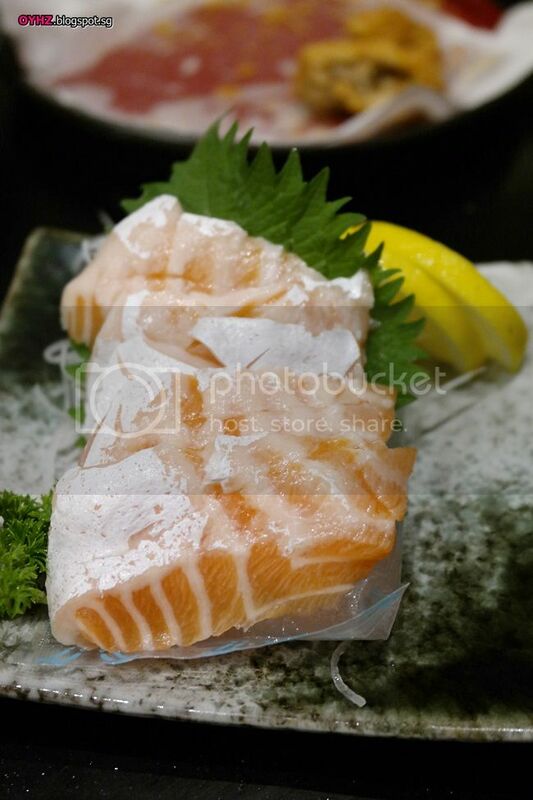 The trio of sashimi is light, with Hokkaido Hotate (scallop), Marugo (tuna) and Shake (salmon), each dressed in homemade tangy sauce. A unique combination of grilled cod fish over salmon, this is the perfect choice if one wants the best of both worlds. The Salmon Gindara is served with thick gravy that brings out the flavour of the fishes totally. My favourite dish in the new menu! 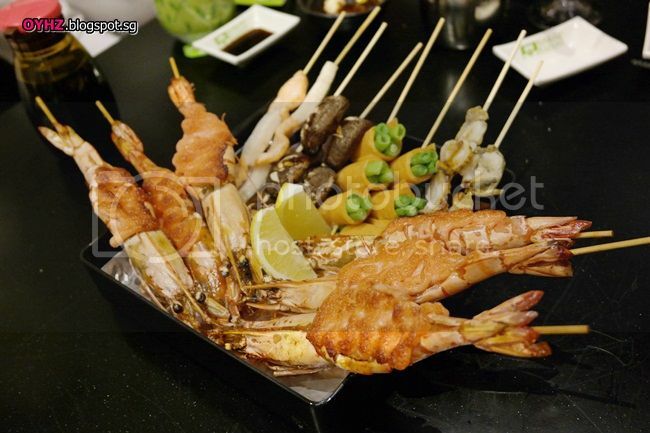 The Yakimono Deluxe impresses with eight varieties of assorted char-grilled skewers. Highlights of this platter include the succulent char-grilled king prawn with cod roe and mayonnaise sauce skewers, Duo Sakana (salmon and swordfish skewers) and also Ni Hotate Teriyaki (scallops with teriyaki glaze). 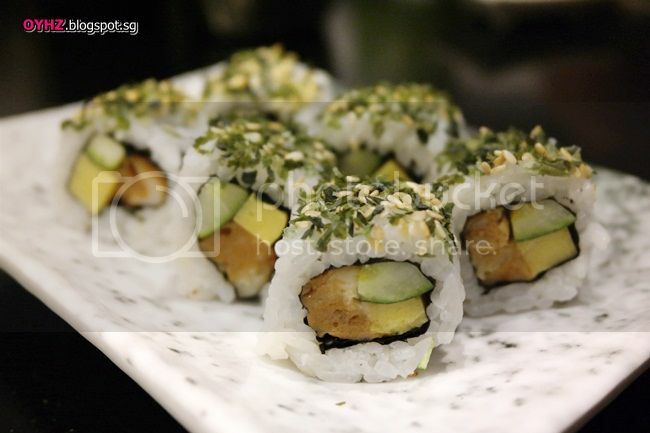 A refreshing combination for sushi with a variety of fresh fruits. 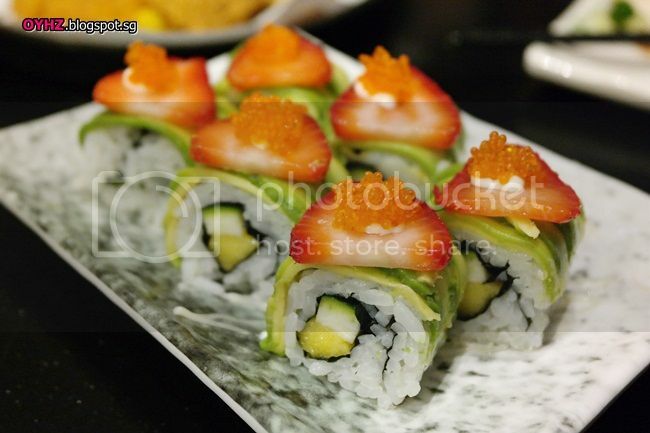 This maki is an healthier choice with mangoes and strawberries, wrapped with creamy avocado. 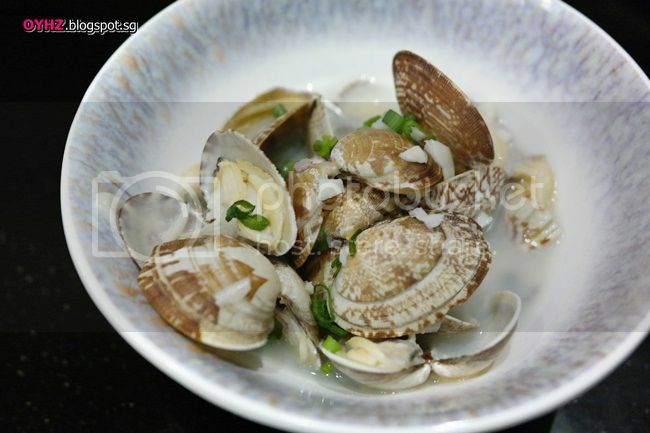 My favourite clams! 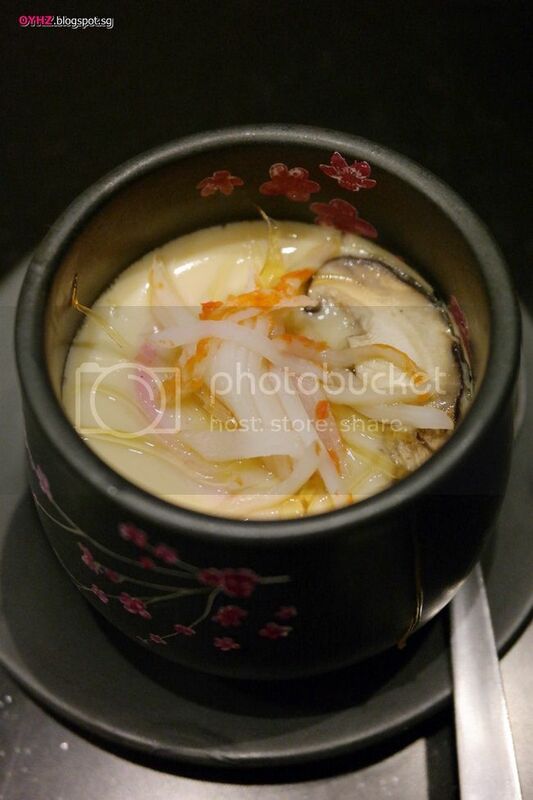 Simmered in Japanese rice wine to absorb the sweetness of the wine. 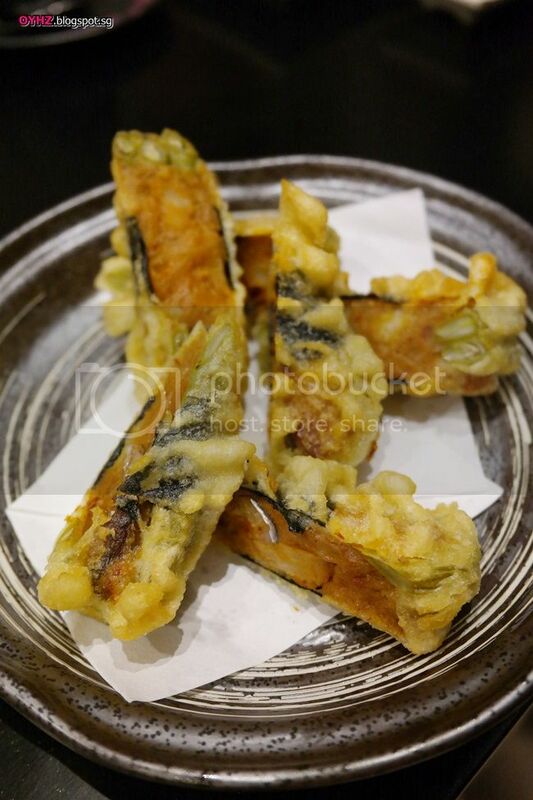 Mackerel Otah wrapped in long green beans and fried in tempura batter. Each bite reveals generous chunks of mackeral that burst with our favourite local otah flavour. 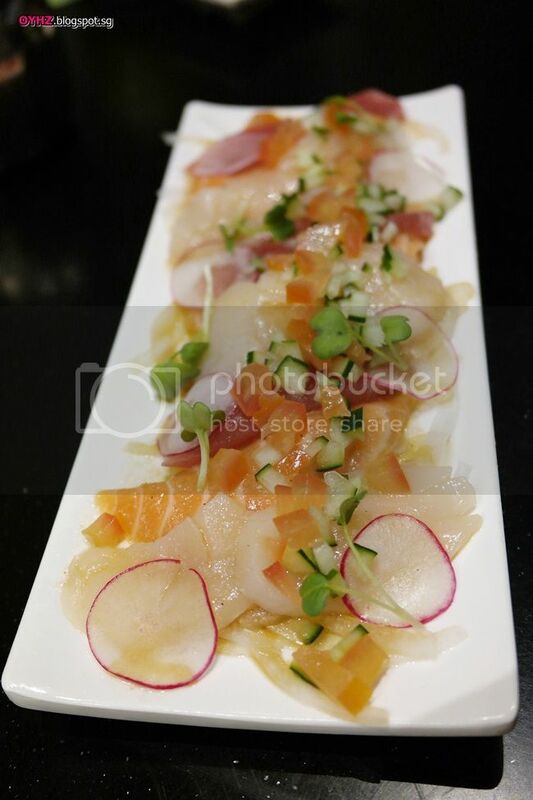 A combintation of Hokkaido Scallop, Sowrdfish, Samon and Smoked Duck. 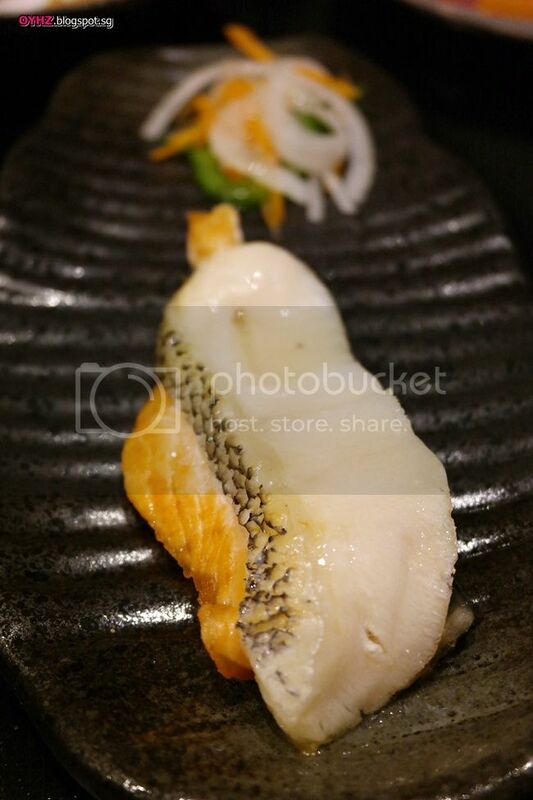 Each sushi comes with a generous topping of mayo and creamy cod fish roe! 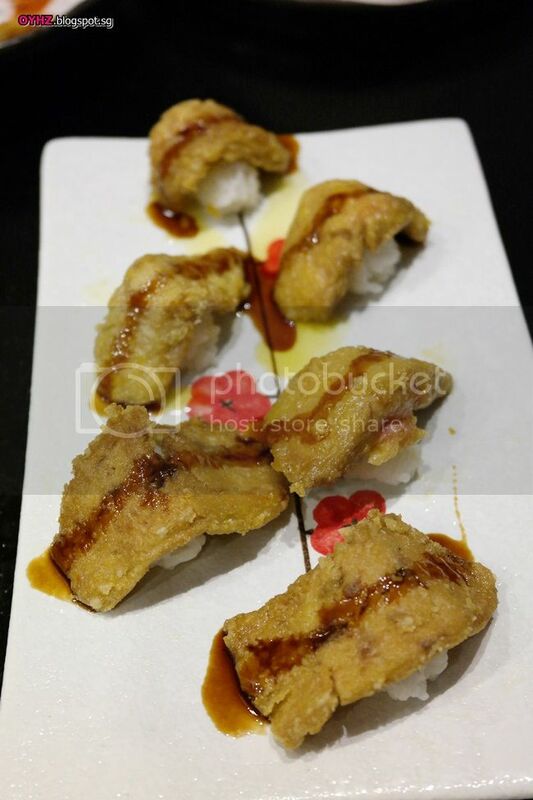 Aburi Foie Gras works with foie gras that is pan-fried on top of the Japanese rice. Doesn't quite suit my palate though :( Try it and let me know! 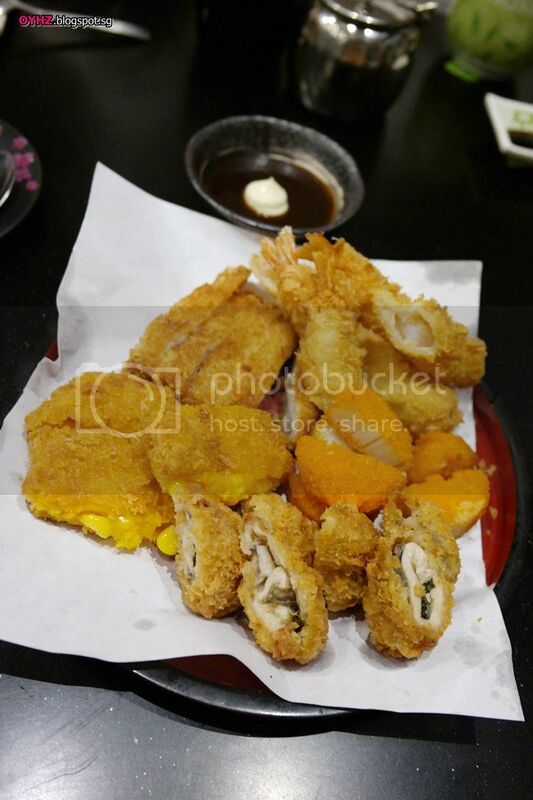 An assortment of five varieties of Chicken, Hotate, Ebi, Oyster ad Pumpkin. I enjoyed the pumpkin best! 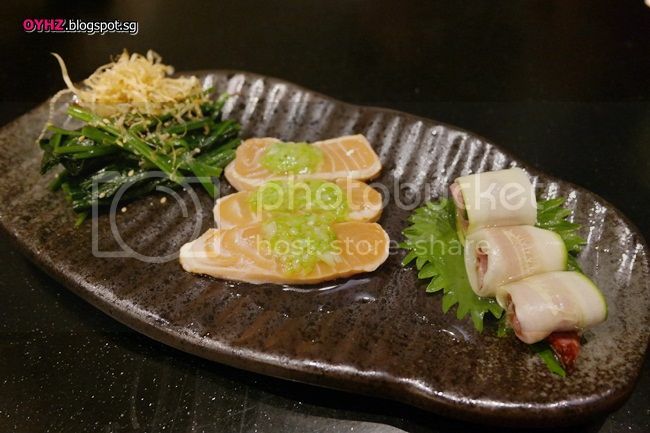 Otah strip, Japanese omelette and cucumber sushi rice roll. 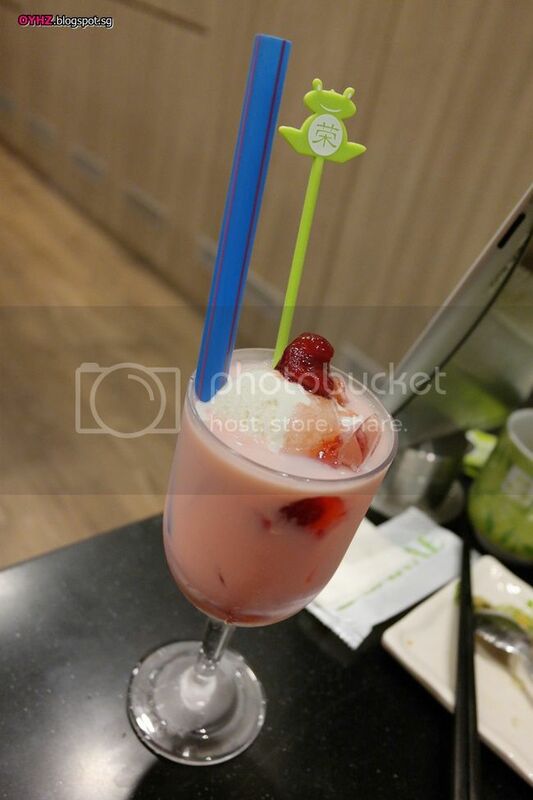 A sweet ending to any meal at Sakae Sushi. 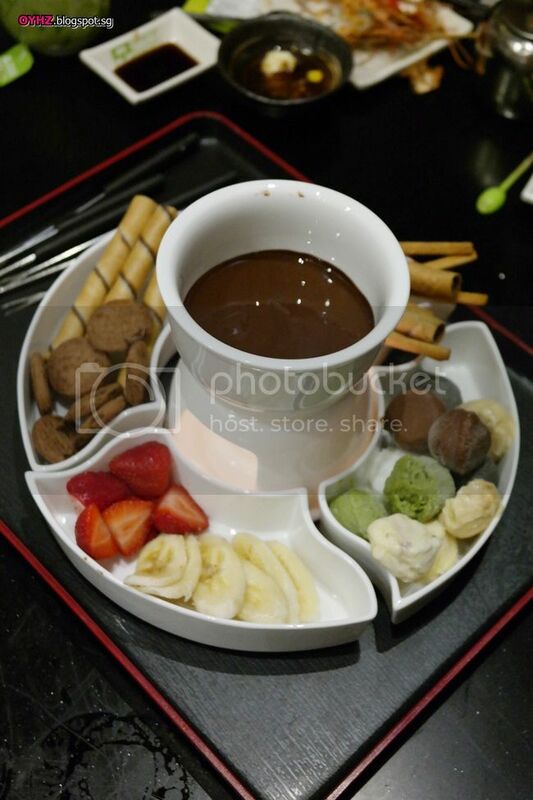 The fondue consists of frozen ice-cream chunks, fruits and an assortment of cookies and snacks and importantly, silky dark chocolate. Ice-cream flavours include lavendar, black sesame, green tea, chocolate, raspberry cheesecake, and salted caramel.